Sir Patrick Leigh Fermor: Soldier, scholar and celebrated travel writer hailed as the best of his time. First published in The Independent Saturday, 11 June 2011. In Greece just after the Second World War, Patrick Leigh Fermor was on a lecture tour for the British Council. 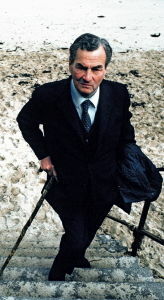 The lecture was supposed to be on British culture, but he had been persuaded to talk about his wartime exploits on Crete. Leigh Fermor took sips from a large glass as he spoke and when it was nearly finished, he topped it up from a carafe of water. The liquid turned instantly cloudy: he had added water to a nearly empty tumbler of neat ouzo. A roar of appreciation went up from the audience at this impromptu display of leventeia. A quality prized in Greece, leventeia indicates high spirits, humour, quickness of mind and action, charm, generosity, the love of living dangerously and a readiness for anything. Sir Patrick Michael Leigh Fermor had leventeia in spades. Leigh Fermor saw little of his father but was devoted to his flamboyant mother, who wrote plays, played the piano and loved reading aloud. He learnt to read late but devoured the works of Sir Walter Scott before he was 10, awaking an addiction for history, heraldry and adventure. Yet he was not a success academically, perpetually in trouble, and expelled from almost every school he attended. The King’s School, Canterbury, might have been the exception, but he was often in trouble, and the final straw came when he was caught holding hands with the greengrocer’s daughter. His last report complained that he was a “dangerous mixture of sophistication and recklessness”, and a bad influence on the other boys. His parents felt a career in the army was the only hope, but he gravitated to Bohemian London and a raffish group who introduced him to nightclubs, strong drink and modern poetry, and encouraged his ambition to be a writer – but he had nothing to write about. He was drifting in a fog of disappointment when the solution came: he would embark on a walk across Europe from the Hook of Holland to Constantinople. He was 18 when he set off in 1932. With an allowance of £5 a month he slept in hostels, sheep-folds, monasteries, barns, people’s sofas, and for a few luxurious months in castles and country houses in Hungary and Transylvania. He reached Constantinople on New Year’s Day, 1935. He spent his 20th birthday on Mount Athos, and a month later took part in a Greek royalist cavalry charge against Venizelist rebels across the River Struma on a borrowed horse. 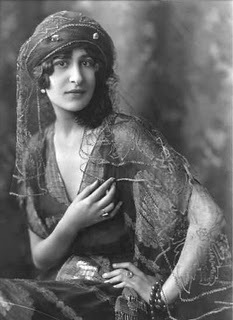 He then made his way to Athens, where he met Princess Balasha Cantacuzène. He had hoped to join the Irish Guards, but took the commission offered by the Intelligence Corps which gave him the opportunity to return to Greece. 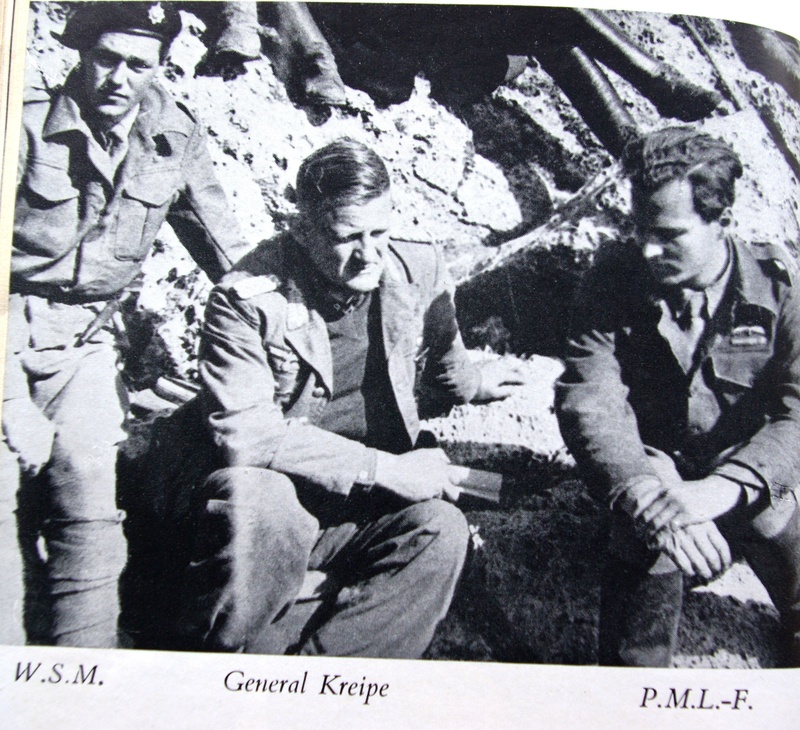 As a British Liaison Officer he followed the Greek army’s early successes against the Italians on the Albanian border in late 1940. When the Germans invaded the following April, the British and Greek forces retreated southwards. Leigh Fermor escaped by caique to Crete, where he took part in the battle in May 1941 against German paratroopers; when the battle was lost he was evacuated to Egypt. He was sent back to occupied Crete in June 1942, as one of a handful of SOE officers who were helping the Cretan Resistance. After the Italian surrender in August 1943 he was contacted by the Italian general Angelo Carta. Rather than co-operate with the Germans, Carta wanted to leave Crete. Leigh Fermor saw him safely to Egypt – a mission which sparked the idea of kidnapping a German general. Promoted to major, he returned from Cairo to Crete in February 1944. With his second-in-command, Capt William Stanley Moss, and a hand-picked team of resistance fighters, the ambush took place on 26 April, when General Heinrich Kreipe, commander of the Sebastopol Division, was pulled out of his car on his way to his villa. The hardest part was not so much the capture but the getaway. The wireless broke down, German troops flooded the south coast, from where they had planned to rendezvous with a Royal Navy launch, and the General hurt his shoulder in a fall. The party spent two weeks in caves and sheepfolds in the White Mountains, making their way over the snowy ridges of Mount Ida to a more secluded evacuation point. German patrols kept up the pressure, and leaflets were dropped warning that anyone who gave aid and succour to the kidnappers could expect the most severe punishment. No one gave them away. The success of the operation and the discomfiture of the occupiers gave the Cretans a tremendous boost: as one of them put it, “the horn-wearers won’t dare look us in the eye!” William Stanley Moss’s diary was made into a book, Ill Met by Moonlight (and later a film with Dirk Bogarde.) Leigh Fermor was awarded the DSO and remains a hero on Crete. But he never published an account of his own experiences on the island. 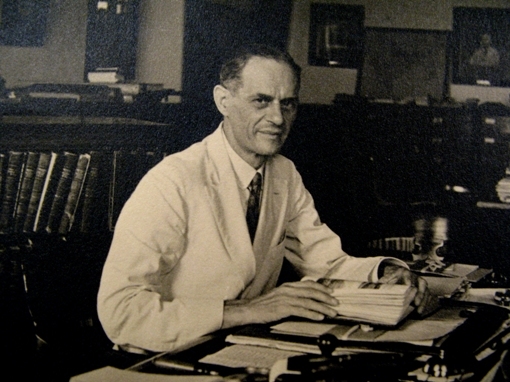 After the war, he became assistant director of the British Institute in Athens. A colleague recalled the songs and laughter emerging from his office, which was a magnet for Cretans looking for a job. His boss sent him on a lecture tour to get him out of the way, which proved a success and took him all round Greece. This was the first of many journeys taken with Joan Rayner, a tall, blonde intellectual he had first met in Cairo. Daughter of the first Viscount Monsell, who had been First Lord of the Admiralty in the 1930s, she was widely travelled and a talented photographer. In October 1949, the couple set off for the French Antilles. Leigh Fermor had been commissioned to write captions for a book of photographs by his friend A Costa, but this developed into his first full-length book, The Traveller’s Tree (1950). The reviews were generous in their praise and he was earmarked as a writer to watch. He was now free to concentrate on Greece. Over the next few years he and Joan travelled all over the mainland and the archipelago, by boat and bus and mule and on foot, exploring a country that was still remote outside the main towns and where customs and traditions were observed as they had been for centuries. Spells of travel would be broken by long stints of writing, translation and journalism. In 1953 came two small books. A series of articles on monasteries, written for the Cornhill Magazine, were collected in A Time to Keep Silence, while his only novel, The Violins of Saint Jacques, grew out of a chapter he was supposed to have written for a book called Memorable Balls. He translated the wartime memoirs of his friend George Psychoundakis, which appeared in 1955 as The Cretan Runner, and wrote for The Spectator and The Sunday Times. Beyond an insatiable thirst for travel, wine and books, Leigh Fermor and Joan lived a frugal life. She had a small private income, and by living abroad for most of the year they avoided tax. Friends helped by lending houses where he could write; among the most important was a house in Normandy owned by Amy Smart, the Egyptian wife of the diplomat Sir Walter Smart, and that of the painter Nico Ghika on the island of Hydra. When they were in England, Joan would retire to her family home at Dumbleton in Worcestershire while Leigh Fermor headed for the bright lights. His friends scooped him up into a round of celebrations and reunions and house parties, where Leigh Fermor revelled in company. Among them were brothers-in-arms like Xan Fielding and George Jellicoe, celebrated hostesses such as Annie Fleming, Deborah Devonshire and Diana Cooper, and writers and poets such as John Betjeman, Robin Fedden, Philip Toynbee, and later, Bruce Chatwin. Writing, on the other hand, was hard and solitary. Though many of his set-piece descriptions were written at a gallop and barely changed, other passages involved months of work. He was acutely attuned to internal rhythms; the alteration of one word would set up a ripple effect demanding whole chapters to be rewritten. His friend and publisher, Jock Murray, was often in despair as every set of proofs came back covered in crossings-out and addenda. It was not until 1958 that Murray published Mani, Leigh Fermor’s first book on Greece. It shows the southern Peloponnese as it was before tourism – a land of rocks and dazzling light, blood feuds and deep superstition, where people still told tales of their struggles against the Turks and pirates. Its companion volume, Roumeli covers his travels from Macedonia to the Gulf of Corinth. Leigh Fermor and Joan were keen to settle in Greece, and they were always on the look-out for the perfect patch of land. They found it in 1963, in the Mani, a little promontory near the village of Kardamyli, south of Kalamata. Surrounded by olive groves, it looked out to sea and had its own rocky beach. With the help of a local stonemason, Leigh Fermor and Joan set about building the house. The result was the perfect monastery-built-for-two, at the heart of which was a library described by John Betjeman as “one of the rooms of the world”. Leigh Fermor at last had a permanent home, all his books in one place and uninterrupted solitude. His next subject was the one he had waited half a lifetime to write – the story of his great walk to Constantinople. “Shanks’s Europe”, as he called it, was worth the wait. 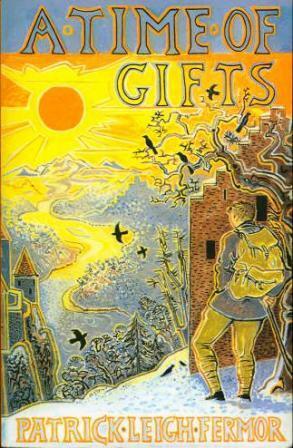 A Time of Gifts appeared in 1977, and Between the Woods and the Water, the second volume in a proposed trilogy, in 1986. Together they present a snapshot of old Europe just before the joint cataclysms of war and Communism swept them away for ever. Every paragraph reflects the loss of a way of life still linked to its soil and its history, while celebrating the joy and enthusiasm of a young man discovering the riches of a continent. The reviews hailed him as the best travel writer of his time – and reader reviews on Amazon show him being rediscovered. Unfortunately, the clamour for him to finish the last volume ushered in an ice age of writer’s block. In 1988 and 1990 he revisited his old haunts in Bulgaria and Romania, hoping to kick-start the creative process. Shocked by the all-obliterating change, he found his own memories fading. In an effort to get him over it Jock Murray commissioned another book about a journey to Peru, which appeared as Three Letters from the Andes (1991). He wrote articles, introductions, obituaries, reviews, and even translated a story by PG Wodehouse into Greek – but the pen-paralysis persisted. The two people he most relied on for moral support died: Murray in 1993, and his wife Joan 10 years later. Leigh Fermor was knighted on his 90th birthday, but his eyesight was beginning to deteriorate. He carried on writing in longhand for as long as he could, but the final volume of his trilogy remains unfinished. He will be remembered by his friends as someone who lived and talked as well as he wrote, whose leventeia was irrepressible, his conversation unforgettable. He could launch into a monologue that turned into a one-man show, a verbal rollercoaster that ranged from the Pyrenees to the Carpathians or chased mythical beasts through primeval forests, tribal customs, Guatemalan bus tickets, German heraldry and Napoleonic uniforms – leaving the company breathless with laughter and exhilaration. 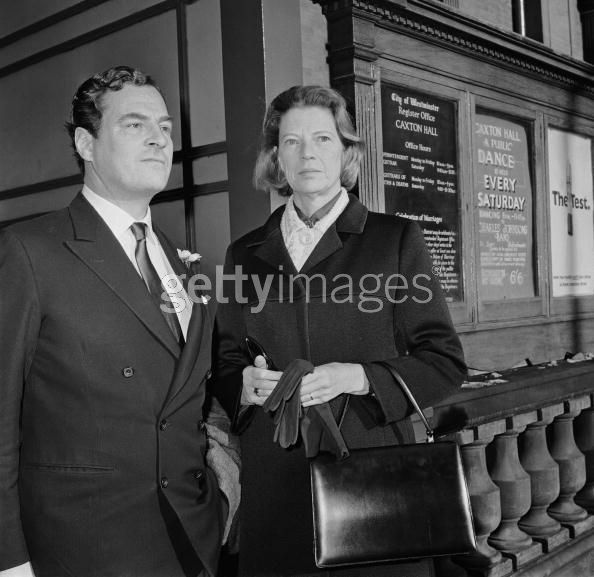 Patrick Michael Leigh Fermor, writer and soldier: born London 11 February 1915; OBE (military) 1943; DSO 1944; Kt 2004; married 1968 Hon Joan Eyres-Monsell (died 2003); died 10 June 2011. This entry was posted in Obituaries, Paddy in the News, Paddy's Death and tagged Artemis Cooper, Balasha Cantacuzene, Joan Leigh Fermor, Patrick Leigh Fermor on June 11, 2011 by proverbs6to10. A rare and original man, a beautiful writer, a courageous patriot.. Locked up in my youth for banning bombs, I would like to think that Patrick might forgive my regard for fellow-Englishman, Bertrand Russell. I shall drink to his health tonight in Dublin. And reflect on his last great journey home to lie forever with his beloved Joan.